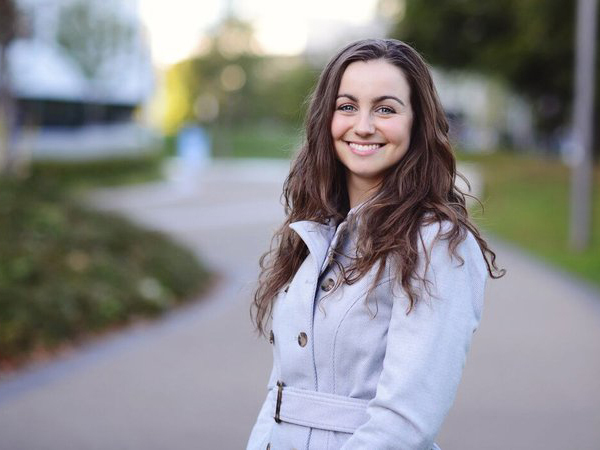 UCD students have voted overwhelmingly in favour of removing their Students’ Union president Katie Ascough from office after she blocked the publication of abortion information in a freshers’ magazine. The results showed that more than two-thirds of votes balloted were in favour of impeaching Ascough. An unprecedented voter turnout – 27 per cent of total student body – culminated in a landslide victory for the impeachment cause. Counting continued tensely into the early hours of Friday morning with the total votes in favour of impeachment amounting to 4,540, while the votes against impeachment came to 2,032. Ascough was equally defiant and disappointed in her concession speech following three highly charged weeks of campaigning. “I fought the good fight. I have been open and honest. I have respected the law. “I am deeply saddened at today’s vote. I hope we can build an atmosphere of inclusion to those who might not fit the stereotypical image of an SU president,” she said. Ascough becomes the first ever UCDSU president to be impeached. Early tallies had suggested a decisive victory for the pro-impeachment campaign. By 11pm, a 75 per cent majority had voted for Ascough’s impeachment. These votes were from Arts, Veterinary Science, Architecture students as well as students on UCD’s Blackrock Carysfort campus. Votes casted by UCD’s Business, Law and Science faculties were counted next and were marginally less pro-impeachment. Agricultural Science, Health Science and Engineering ballot boxes were last to be counted and sealed the result with 68 per cent leaning in favour of impeachment. All four of Ascough’s fellow sabbatical officers publicly declared their support for Ascough’s impeachment prior to the referendum. The campaign to impeach Ascough began after she made an executive decision to remove a page from UCDSU’s Winging It freshers’ magazine which contained information on access to abortion information. The cost of reprinting the magazine was said to have cost the students’ union 8,000 euro. She sought information regarding the legality of this information from the students’ union’s lawyer, who found there were “serious concerns” about providing this information about abortion services under the Abortion Information Act. The referendum was triggered after a petition calling for the impeachment of the incumbent SU president reached almost 1,200 signatures. One of the pro-impeachment side’s most prominent campaigners addressed the gathered crowds following the final announcement. Barry Murphy, chosen as deputy president by Ascough, will act as president until a by-election takes place to fill the position. UCDSU were unavailable for comment at the time of this article.